New. 1684223202 Special order direct from the distributor. New. Sewn binding. Cloth over boards. 140 p.
New. Trade paperback (US). Glued binding. 124 p. Contains: Unspecified, Illustrations, black & white. New. Trade paperback (US). Glued binding. 124 p. Contains: Unspecified, Illustrations, black & white. In Stock. 100% Money Back Guarantee. Brand New, Perfect Condition, allow 4-14 business days for standard shipping. To Alaska, Hawaii, U.S. protectorate, P.O. box, and APO/FPO addresses allow 4-28 business days for Standard shipping. No expedited shipping. All orders placed with expedited shipping will be cancelled. Over 3, 000, 000 happy customers. 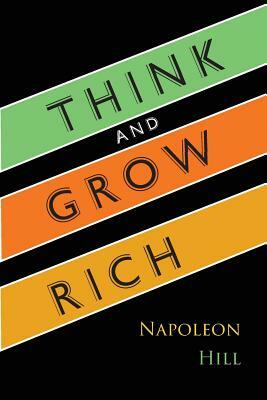 I bought the Think and Grow Rich Audio Book from Alibris.com, and absolutely LOVE IT!!!! Great price, I paid like $7.99 for it, BRAND NEW, and couldn't be happier!! I recommend this site to EVERYONE!! High quality service and products!! Must be a timeless classic, first published 1937. Along with Dale Carnegie's How to Win Friends and Influence People of the same era, this is a highly inspirational, philosophical and practical handbook. I think everyone should read it once. This book is very very good. There is a lot of interesting information. You can use them in your daily life. This book has been around for a long time, but every time I read it I get more and more out of it!